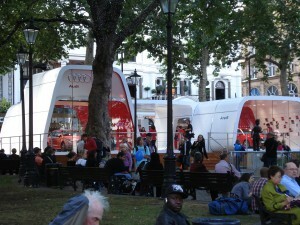 In recent years, Audi has done a terrific job marketing its brand. 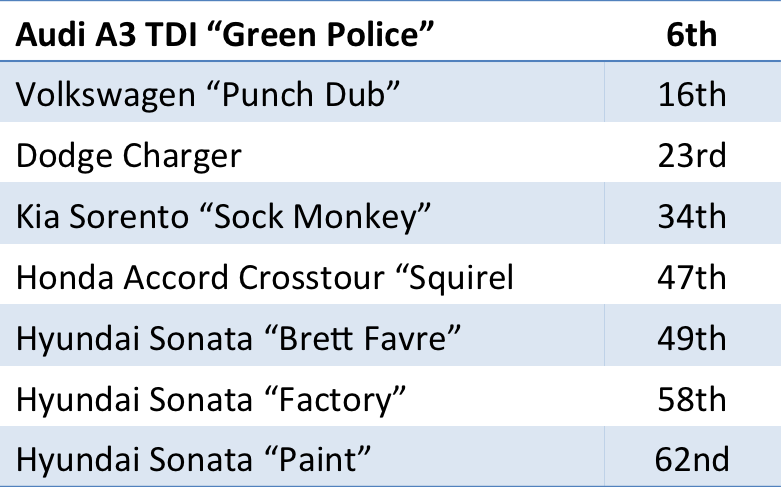 Sales are up globally and will probably exceed 1.0MM units this year (WSJ 8/2/10). In the US, Audi came through the recession on a tear and has never looked back. Great products, great design, with quality that has improved and is now comparable to the best in the business. 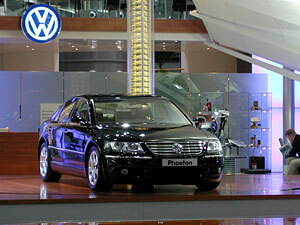 The Audi brand is aspirational and prestigious in most global markets. While it has lagged its competitors in the US, it has gained in prestige in recent years and many would say it has achieved the vaunted Tier-1 status in this country. 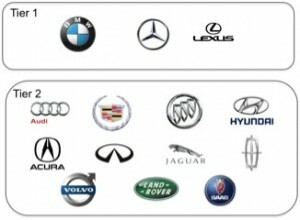 So why would one of the most well-regarded progressive luxury automotive brands in the world make the silly mistake of blatantly copying their nearest competitor? A few weeks ago I was in the UK and I happened to walk by Leicester Square in London and was excited to see an Audi display in the park. I went over to have a look and discovered that the display was part of the UK’s introduction of the A1. Hyundai Equus. Can Hyundai succeed with a D-class model? The D-segment of the luxury market is tough. The best luxury manufacturers in the world bring their best technology, design and engineering to the table and the result is the world’s best 4-door sedans: BMW 7-Series, Mercedes-Benz S-Class, Lexus LS, are perennial best sellers. It’s tough to break-in, Audi has struggled for years to build volume in the segment with its A8 despite having what many would say is the best product. So what makes Hyundai think they can introduce the Equus into this rarefied air and succeed? Let’s get one thing out of the way. 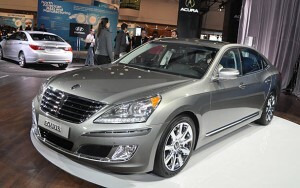 From a product perspective, the Hyundai Equus will be a very able competitor to the best luxury sedans in the business. Hyundai has demonstrated that they build exceptional quality cars at multiple price points, the most recent being the Genesis, a near to mid luxury entry. The Equus is already getting good reviews and at $55,000 will offer D-class luxury at a very reasonable price.